In today’s competitive business world, it’s more important than ever to know how to adapt to changes and stay on the cutting edge. In this article, we will cover the top podcasts that every entrepreneur should listen to to gain the competitive edge, advanced strategies and powerful mindset to take their business to the next level. But with so many entrepreneurial websites, books, and videos widely available, why podcasts? Podcasts are becoming increasingly popular within the business community as a highly valuable educational tool since they allow the listener to learn something while multitasking. Why not listen to your favorite podcast on your drive back home or while you are at the gym? Podcasts have opened up a new frontier when it comes to entrepreneurship, making it easier than ever to learn on the go. Today we have put together a short list of podcasts we believe can help you become a better entrepreneur and businessperson, some of which featuring some of the top motivational speakers in the world, who are willing to share their own expertise and tips with you. Hope you enjoy and end up finding your new favorite podcast. 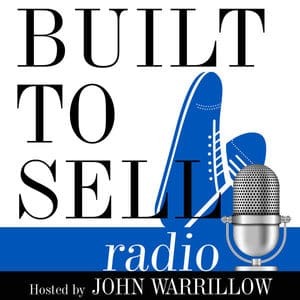 John Warrillow, better known as the author of “Build to Sell”, decided to take the tricks and tips given in his book and give them a fresh spin by creating and producing a whole podcast around this topic. Warrillow, whose articles are commonly featured on Forbes.com, stands behind the idea that the most important transaction in your life is the one you make when selling your business. And his podcast is truly essential when it comes to helping the listeners make the decision on whether to sell or not to sell and, most importantly, the mistakes and roadblocks you may encounter. Build to Sell is a weekly podcast where you have the chance to listen to a businessperson who has sold their business guide you through the entire process. From the reasoning behind it to the mistakes and victories they have achieved, Build to Sell is a complete guide to the art of selling your company as swiftly and profitably as possible. Warrillow also interviews many entrepreneurs on his podcast who successfully sold their companies for an attractive multiple. He also shows his listeners the proven ways to increase the valuation of your company as well as how to structure and deal with the earnout period. If you are considering selling your company, this podcast is a life-saver when it comes to helping you make all the right decisions. Ferriss is a public speaker, entrepreneur, and author whose book “The 4-Hour Workweek” became an instant hit worldwide. His experimental approach to business and success has granted him the nickname “human guinea pig”. 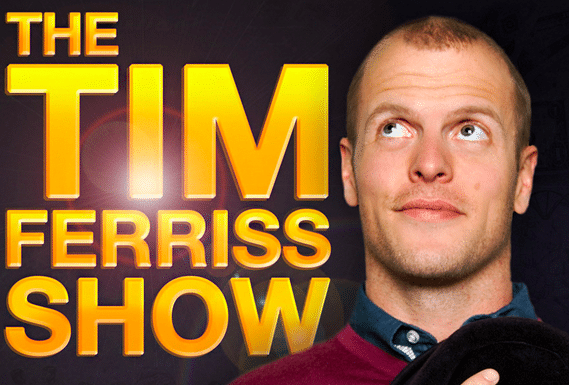 As on-brand as possible, Tim Ferriss’ podcast takes an experimental approach when it comes to business. How? Each week Ferriss focuses on a specific successful person, ranging from entrepreneurs to athletes and celebrities, traces back their steps towards their current success, and thus derives their own tips and tricks which the listener can then apply to their own life. 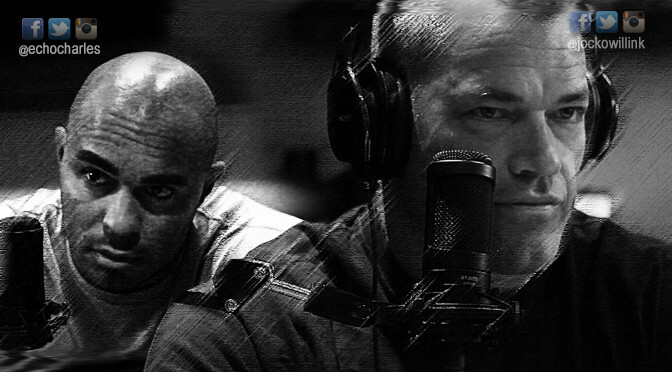 Always energetic and enthusiastic, Ferriss’ at-ease and curious approach to each topic makes it easy to include this podcast in your daily routine. And with completely different topics featured each week, every episode is as unique and exciting as the one before. With over 150+ million episodes downloaded and 2,700+ 5-star reviews, the numbers speak for itself. 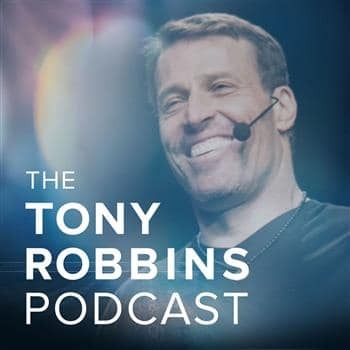 Make sure to follow this podcast if you would like to learn more about the tricks and tips some of the most successful people on earth use in a way that can be easily applied to your life and business. Tony Robbins is perhaps the most influential person in the world of motivational speaking and business training. His methods are widely regarded as not only efficient but also easily applied in business. Robbins has decided to take his own “learn to close, not to sell” approach directly to iTunes with his podcast, the Tony Robbins podcast. On this podcast, you can learn some of Robbins’ top business, life, and relationship tips, as well as listen to some exclusive excerpts from his books or live seminars. On top of that, Robbins frequently conducts interviews with other influential businessmen and entrepreneurs, such as Tom Bilyeu, Deepak Chopra, and Charles Duhigg, in order to introduce the listeners to different useful methods. Always charismatic and insightful, Robbins’ podcast is not only an excellent educational tool, it’s also a chance to get to know some his techniques in greater detail. If you are already a fan of Robbins, make sure to tune in every week! On the other hand, if you are a young entrepreneur who would like to further educate yourself, the Tony Robbins’ podcast is a great way to get some tips and tricks to improve your sales and business psychology. Some of the episodes consist of exclusive interviews with the world’s business leaders and some of today’s fastest growing companies such as AirBnB, SoulCycle, and Warby Parker, which is a part of Tony Robbins’ Business Mastery program. Make sure to tune in to learn how the best in the world run their business. Every business must how an online presence in today’s world. But do you know how to effectively get your targeted customers to visit your website or follow you on social media? 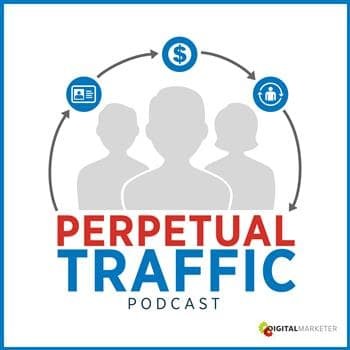 The Perpetual Traffic Podcast is perhaps the number one podcast to help you take your business to the next level with online advertising. The podcast is hosted by Keith Krance, Ralph Burns from Dominate Web Media, and Molly Pittman from DigitalMarketer. The experienced and knowledgeable trio offer real-life tips on how to advertise your business or company using Facebook, Youtube, Twitter, and LinkedIn. With the current widespread use of online advertising, the hosts also educate the audience about paid traffic and how to use it in order to maximize your sales and visibility online. But rather than just relying on their own expertise, which would already be quite insightful, they also conduct interviews with business owners who decided to advertise their business online. From methods and techniques, all the way to the mistakes they made, these guests are willing to share their stories in order to help you and your business grow. If you want to advertise your company online but need some tips on how to do it as efficiently as possible, don’t forget to subscribe to Perpetual Traffic! Alex Blumberg’s career is definitely an impressive one. This entrepreneur, journalist, businessman, and radio producer has the ideal background both in sales and radio to arm its listeners with powerful and insightful business tips. 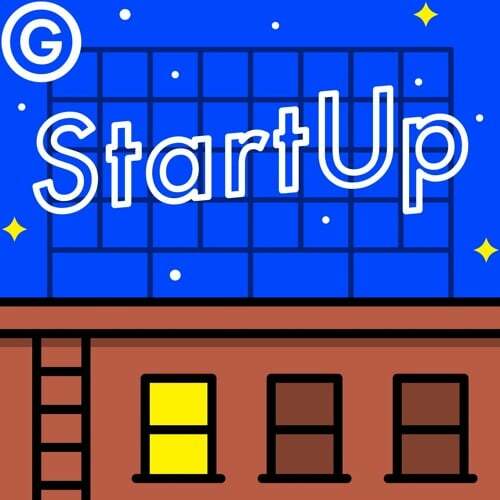 The StartUp Podcast is, as the name suggests, a complete guide on how to start your business. As a listener, you can find some of the most valuable tips when first starting a company, such as how to name your company and how valuations work, all the way to in-depth discussions about depth and how to conciliate family and career. Blumberg’s insight, inspiration, and motivation will keep you glued to the podcast’s every single second, while also teaching you exactly how to build a company from scratch. If you are looking to start a new business and want to know how to take the first steps towards building a profitable company, the StartUp Podcast is the essential guide to all young entrepreneurs. 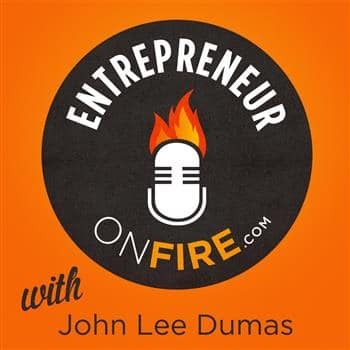 John Lee Dumas is an entrepreneur who is most known precisely due to his podcast, Entrepreneur On Fire, which has listed amongst “Best of iTunes”. EOFire is based on interviews with some of the world’s top entrepreneurs, such as Tony Robbins, Gary Vaynerchuk, and Tim Ferriss. During these interviews, Dumas allows the guest to share some of their best and worst moments in their careers, and even how they turned a goofy idea into a profitable venture, allowing the listener to learn from somebody else’s business path. Perhaps the most valuable part of the podcast is the final segment, called “The Lightning Round”, where Dumas always manages to extract an extra piece of valuable advice from the guest. Take out your notepads, and get these tips on paper and ready to apply them to your business! The podcast is specifically designed for entrepreneurs and small business owners who wish to up their game so you can expect a lot of valuable tips that can are not only proven to work, but also easy to apply. This Week in Startups has a very simple goal: to share what’s happening in the world of entrepreneurship. While most news outlets don’t normally cover entrepreneurial ventures, this podcast focuses solely on the week’s best, worst, and strangest stories from Web Companies. 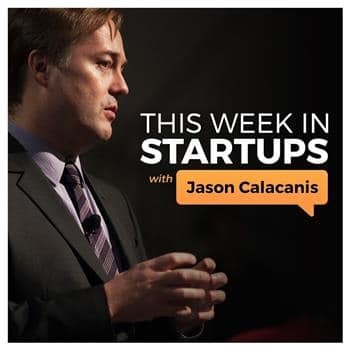 The host, Jason Calacanis, invites several experts every week in order to discuss and share with the listeners some of the most interesting events and news happening that week. Apart from the world of web companies, the panel of experts also shares their own tips and strategies towards becoming a better businessperson. If you want to find a way to keep yourself updated on what’s going on in the world of technology and entrepreneurialism, This Week in Startups is the best way to do so, while also managing to keep you laughing the whole time. Gary Vaynerchuk is a household name when it comes to the world of investment and business. His live talks, books, and even Youtube videos are listened to, read, and watched by thousands of entrepreneurs every single day. Instead of having to recur to all these different platforms to understand his message and methods, Vaynerchuk decided to compile segments of some of his Youtube videos, such as #AskGaryVee show and the DAILYVEE series, excerpts of his live shows and interviews, add some exclusive audio records, and thus create the Gary Vee Audio Experience. This podcast can almost be seen as a collective of some of Vaynerchuk’s top advice on different topics, focusing mainly on business and marketing tips. 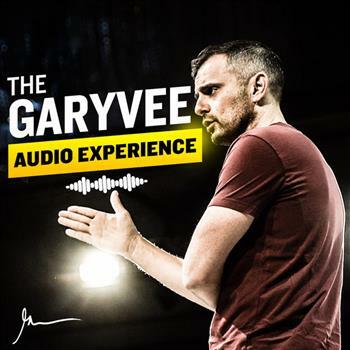 If you are looking for an easy way to learn more about a specific topic, but don’t want to have to use different platforms to fully understand the topic, The GaryVee Audio Experience is an excellent alternative to learn and be inspired on the go. 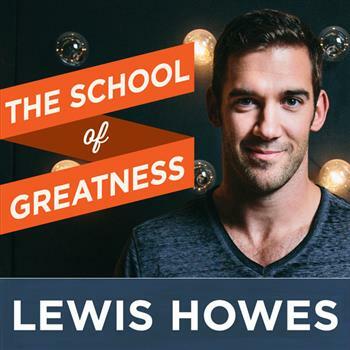 Lewis Howes has been building his own brand based around the concept of “The School of Greatness” for years now. The young entrepreneur, author, and former pro-athlete is quickly becoming one of the business and personal development experts in the world. Also available as a Youtube channel and as a book, Howes also decided to take advantage of the podcast format to help further educate his audience on what “The School of Greatness” truly is. During this podcast, Howes focuses not only on his own views and strategies towards success, he also takes the time to interview other entrepreneurs, celebrities, and athletes who are willing to share with the listeners their own path towards success. Always inspiring, motivational, and highly helpful, you are guaranteed to learn something new every single episode. If you want to receive some powerful advice from some of the world’s top successful people, don’t hesitate to subscribe and tune into The School of Greatness Podcast every week. This show is run by Jocko Willink and Echo Charles. Not only will you learn about business management and leadership, but you will also learn about leadership in war, relationships and everyday life from retired Navy SEAL Jocko Willink and his director Echo Charles. Willink and Charles regularly interview cross-disciplinary experts and explore their very best life and business strategies to share with the audience. You will gain fresh and unique perspective on how to deal with stress, negativity, self-discipline, how to be strong and so much more. If you want to learn more about extreme leadership, make sure to check Jocko Willink’s New York Times bestseller book “Extreme Ownership: How U.S. Navy SEALs Lead and Win“. 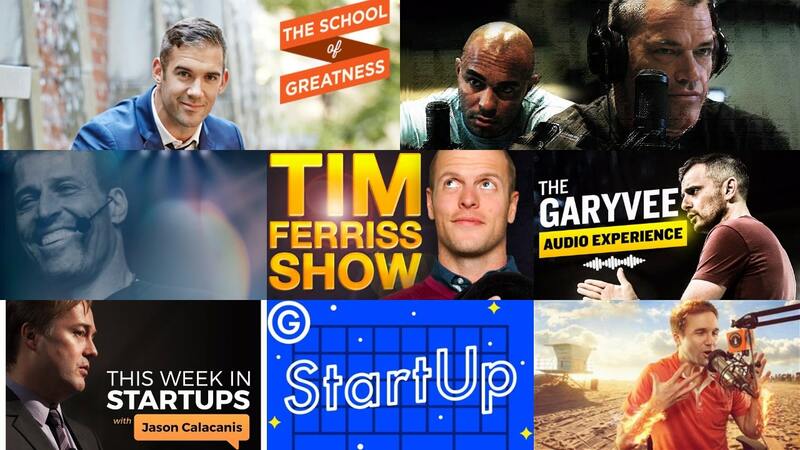 These are our top podcast recommendations for Entrepreneurs available on iTunes. Podcasts give you the unique chance to learn and improve yourself on the go. Whether you are starting your first business, trying to sell your company, or just looking for inspiration, make sure to tune in these podcasts for entrepreneurs every week and get all the tips needed to turn your business into a booming success.